Black Velvet is just like red velvet, only black! These Black Velvet DIY Protein Bars are the perfect snack for when you’re wanting something sweet and chocolatey, but without the excess calories, fat, and refined sugar. I just moved into a new apartment last week and have been making (and eating) protein bars nonstop. I didn’t get a moving truck to haul all my crap, so lucky me, I get to carry eight thousand heavy boxes up a flight of stairs! Moving is going slowly but surely. The first thing I did was hang up all of my bundt pans as decor. I’ll post a picture of my current setup on my Instagram soon, as I acquired a couple new pans, but here’s a picture from my old apartment to give you an idea. These Black Velvet DIY Protein Bars are the perfect snack for when you're wanting something sweet and chocolatey, but without the excess calories, fat, and refined sugar! 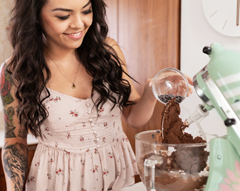 In an electric stand mixer bowl fitted with a beater attachment, add all of the ingredients. Mix on low speed until everything is fully incorporated. Scrape down the sides of the bowl. Mix on medium speed for one last mix. Feel free to add some mini chocolate chips here! Mixture should be thick and fudgy, like cookie dough. Would ya look at that! Only 170 calories, 7g of fat, and 10g of carbs, plus 4g of fiber and 17g of protein! These homemade protein bars are everything you need to satisfy your cravings at any time of day. Enjoy! Woo! Yay for new beginnings in a new apartment! Also I just have to say I love your inventiveness with these charcoal treats you’ve been making. 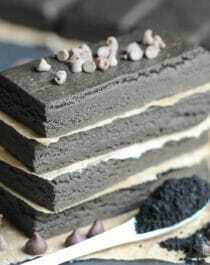 I have yet to see someone cook with activated charcoal in desserts. Other than you! And they look awesome! 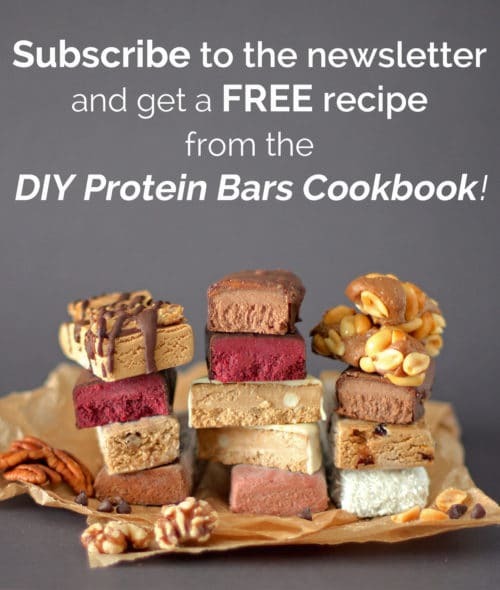 I would love to try the cherry pie protein bars; they sound so good! Holy amazing! These look awesome with amazing nutrition packed in. I would make these and the birthday cake! I love the colour! They look so good 🙂 Thanks for doing a giveaway! Great Giveaway! Thank you so much for all the healthy recipes inside here. Thank you very much for all your healthy and delicious recipes! Thank you for all your healthy and delicious recipes! I would love Birthday Cake next! 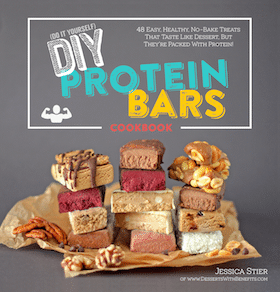 Love your protein bar recipes! Thank you for all your healthy recipes and inspirations! Anything with peanut butter! Or applesauce, or pumpkin…. Would more protein powder or one of the following work: almond flour, coconut flour, sunflower seed flour, pumpkin seed flour, soy flour? I haven’t tried this recipe without the oat flour, but feel free to test the recipe using something else! I’d probably do 1/4 cup coconut flour + 1/4 cup almond flour. Keep extra flour handy in case you need more. 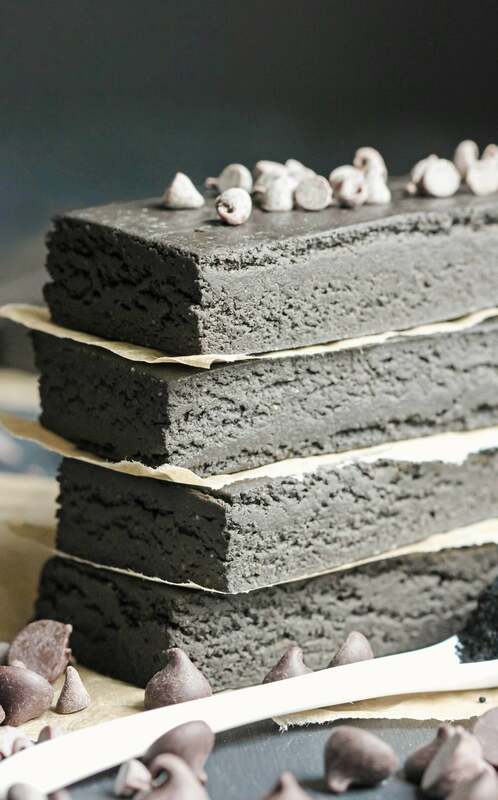 All these black velvet recipes would make perfect treats/snacks for a Halloween party! 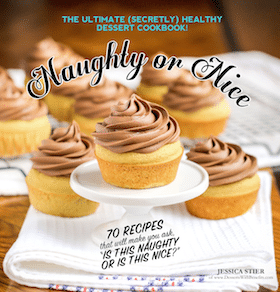 Thanks for the healthy and YUMMY recipes! It’s so amazing that someone is making desserts something we can enjoy; not feel guilty about. Thanks Desserts With Benefits! No doubt about it, I’d make s’mores first thing and always! YUMMM!! Trying the black velvet frosting tonight, and cannot wait to try these next! Thanks for all the fun! It’s hard for me to find ways to use vegan protein because it is so chalky. OMG! These look so good! Love that they are simple too! Thanks for the chance to win the fun products!! Yum! These look so good and I love that they are simple to make! Thanks for the chance to win the fun products!! Thank you! i’m excited to make the birthday cake protein bars! Thank you! i’m excited to make the birthday cake protein bars! Also, the chunky monkey! i’m excited to make the birthday cake protein bars! Also, the chunky monkey! These look yummy! I have never used the charcoal in cooking before, only when I was a nurse and saw it administered for overdose or accidental poisoning. S’mores! I am craving them! Just a question with the activated charcoal – and you may not even know the answer, butttt does consuming the activated charcoal affect medication an individual is taking? For instance, if I’m on birth control – would it make it less effective since AC has such a high level of absorbancy? I would recommend speaking with your doctor about this, as every body is unique and I don’t feel comfortable giving medical advice over the internet. Sorry Samantha! Oh no, that’s completely fine! I didn’t mean to put you on the spot either. I had just recently read an article online about it (but you know how false those can be at times) and wasn’t sure if you knew anything in regards. I’m still dying to try these, though! These look so interesting! I’ve never seen activated charcoal in a food item before, just as a medication for poison. These are so funky! 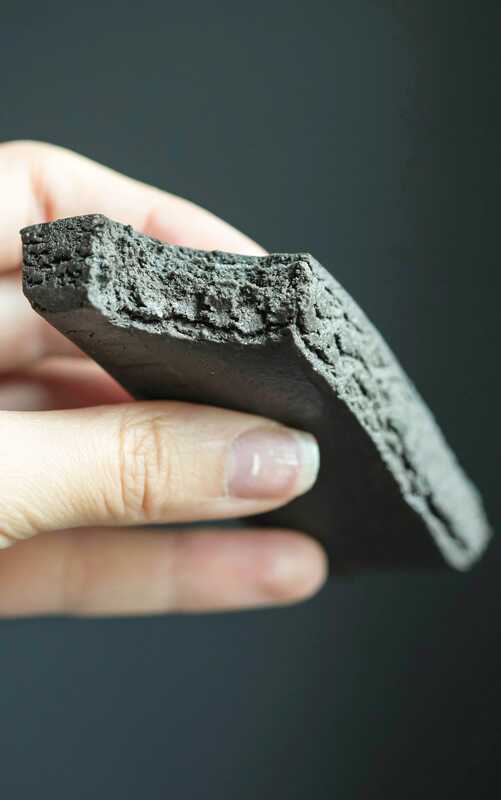 I’ve never seen activated charcoal in a food item before, just as a medication for poison. It’s definitely something I’d want to try though! Got to find charcoal in Europe. Thanks for another healthy recipe. These look soooo good! I’d also love to try the Chubby Hubby and S’mores recipes! Caramel Macchiato is my weakness…I’d definitely love to try that one! I’d start with the Cherry Pie recipe. 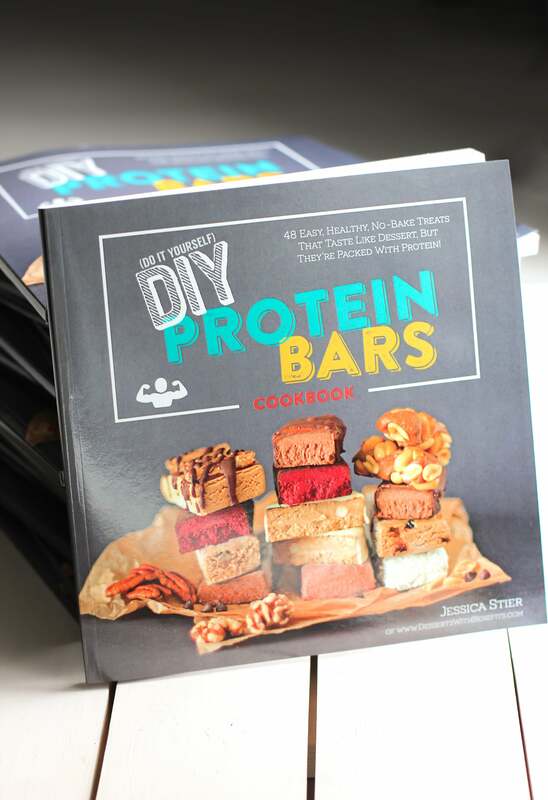 Ooh, these protein bars look amazing! I’ll test out the base without the charcoal to see if it works for me first! Anyways, I definitely want to try the Birthday Cake, Peanut Butter Cup, and S’mores bars first!